Tuesday 20 October saw the return of our successful Waste Not, Want Not Recycling Roadshow. 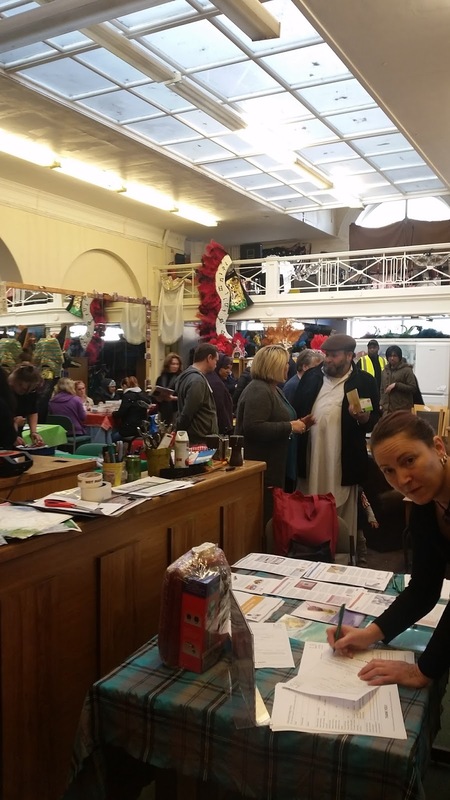 Held in the old library on Lodge Lane, Tuesday's event saw us join forces with Liverpool Healthy Homes, Bulky Bobs, Create and Liverpool City Council's Energy/Fuel Poverty Officer - Richie Quinn. 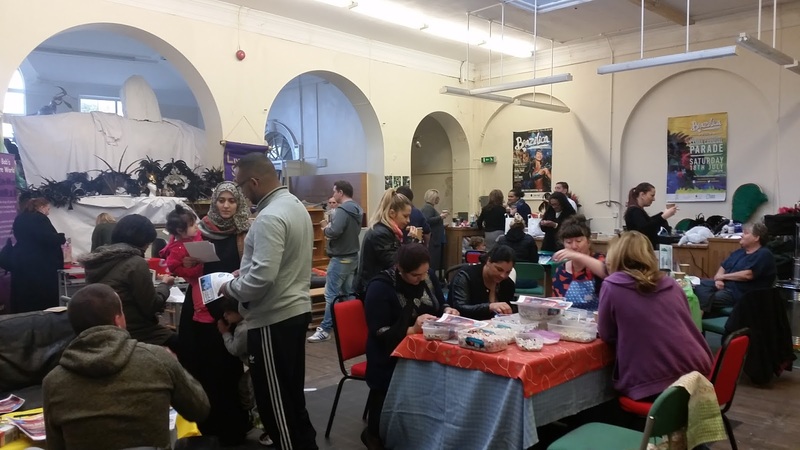 We were delighted that Bulky Bobs found new homes for all the items of furniture they brought along and Create sold a refurbished cooker. We were also very impressed with the number of people who took time to make a mosaic coaster and/or a piece of jewellery from recycled materials. 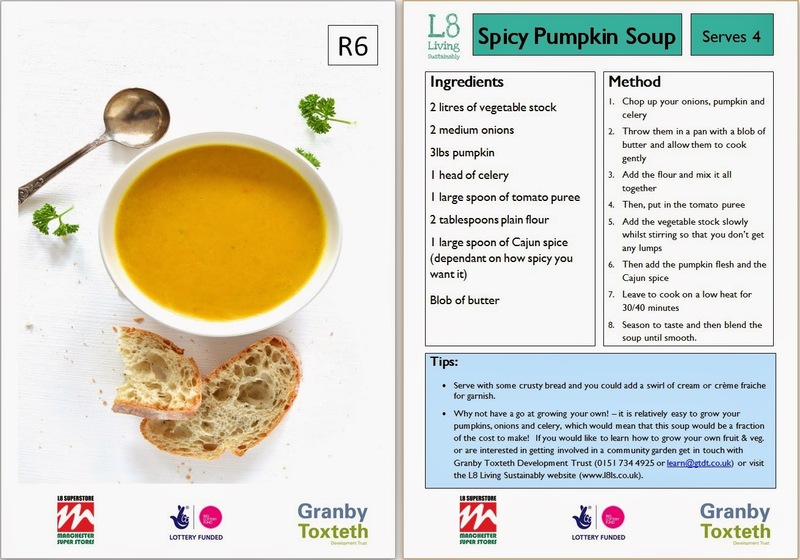 Our homemade Spicy Pumpkin soup went down a storm and kept everyone warm on a cold day. Click here if you would like recipe.